When you are strapped for cash and you have to rustle up affordable audio electronics, it can feel bewildering in the budget regions of a heavily saturated market. 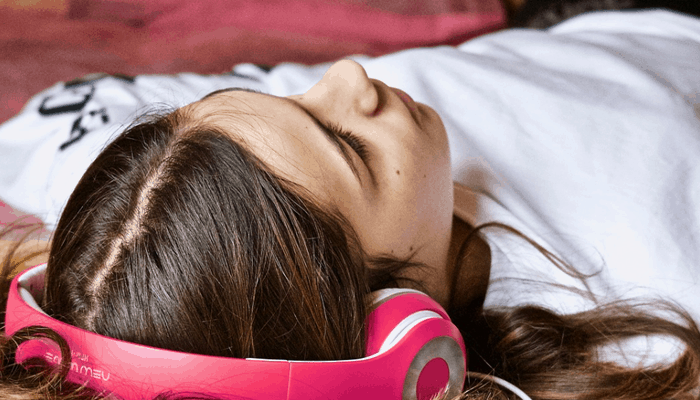 To give you a nudge in the right direction, we have compiled our top 10 best headphones under $30 in 2019, for an informative overview of what's available to you. 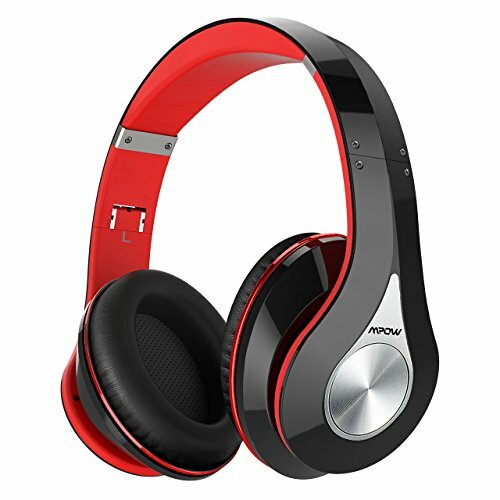 Are Cheap Headphones Any Good? What To Look For When Buying Headphones Under $30? That is not to say that the audio quality is entirely sub-par, we are seeing an increasing number of cheap choices which live up to the properties of products twice their price. This is largely thanks to the industries fast-paced nature and the benefits of trickle-down-technology, that gives consumers a better deal as developments unfold and products upgrade at an astounding rate. We are kicking off with this fab wired pair which have a traditional 3.5mm jack connection with a generous 3.6 feet of cable to allow for freer movement. They sit nestled snugly within the ear canal thanks to their ErgoFit design which keeps them in position resilient to the user's movements. They feature premium, ultra-soft foam tips which squish and flexibly conform to the individual shape of the ear. Panasonic thoughtfully includes 3 different sizes to choose between for the most comfortable fit. Audio is full-range and balanced, the drivers are just 9mm and work very efficiently across a wide frequency response. They utilize neodymium magnets and perform adequately, the audio is punchy with a decent level of bass. They come in 15 different colors to choose from. 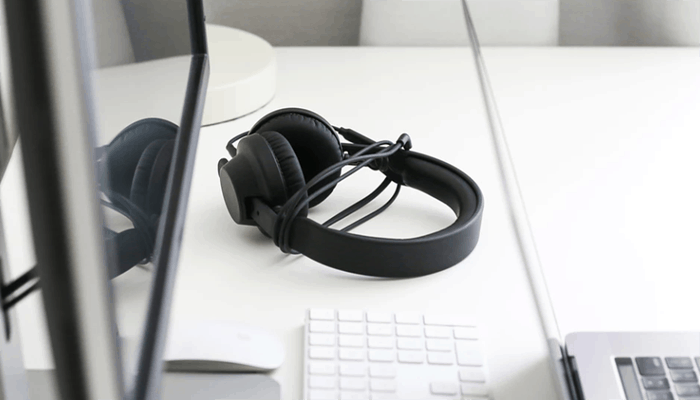 Why We Liked It - We think they are a standard setting entry level wired headphone model which provides a bare-bones option with good quality audio capabilities in an appealing package. We have highlighted this set once or twice before because at present, they are one of the best examples of an affordable model which performs and provides much more than many similarly priced sets. They are an upgraded model which now incorporate over-ear hook to help secure positioning and allow for more motion from the wearer. The bud itself has a new memory foam formula with a hardened exterior and fits more snugly than before, locking the bud firmly in place assisted by the new hooks. 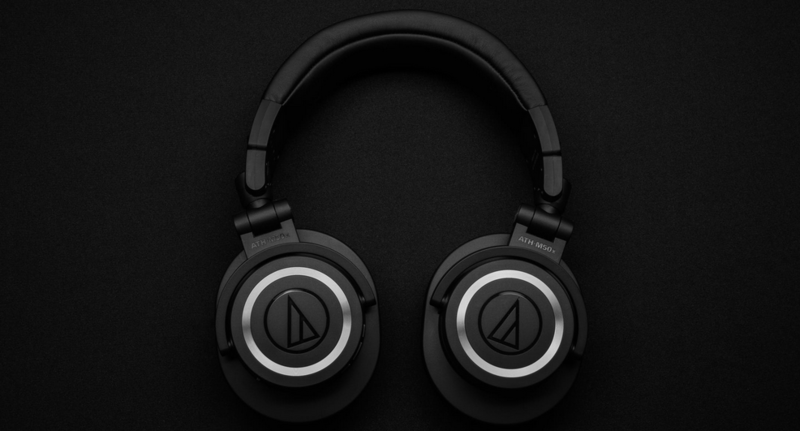 They provide a stable connection with wide compatibility and are good travel headphones as they hold an IPX-7 certification making them safe from moisture damage. They serve-up great audio thanks to the advanced research and development given to their array design, which is biased towards enhanced bass for a better presence in the mix. Why We Liked It - They have received a circuitry overhaul and a design upgrade which see them sporting some very convenient features and capabilities. The audio is very impressive at this price level and their IPX certification makes them a good sports option too. They feature large aperture 40mm drivers which produce powerful circumaural stereo sound. 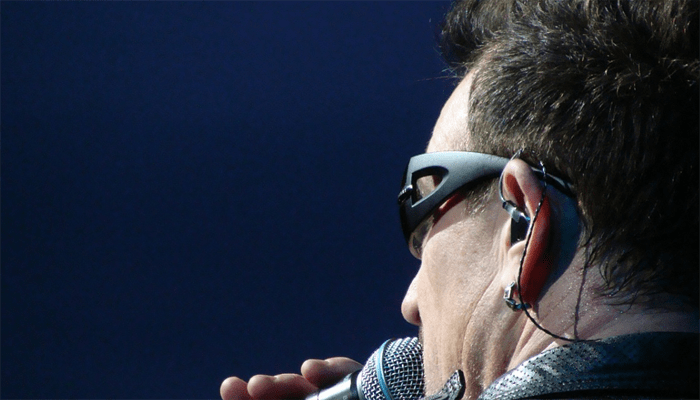 They are donned with an integrated microphone with simple to use in-line controls. Their closed-back cup design naturally isolate the listener from the environment for immersive audio. The cups are foam cushioned and covered in a comfy leatherette fabric. 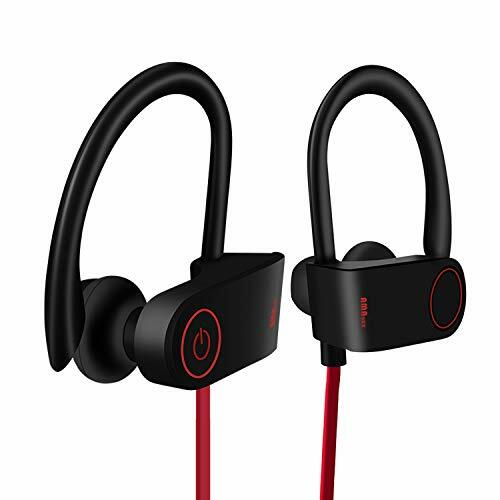 They have an extra strong braided cord with a widely compatible 3.5mm jack connection. They are competitively priced and available in 5 cool color combinations. 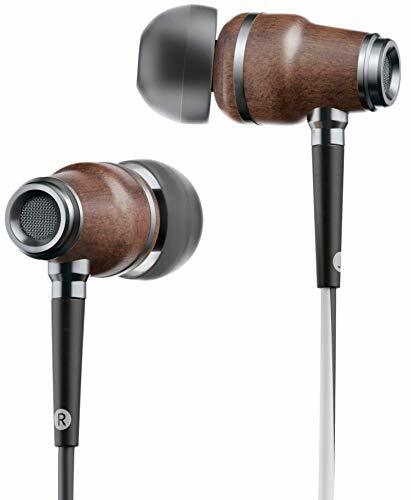 Why We Liked It - They are a great on-ear option with superb sound, the cord is high quality and the price undercuts those we have reviewed so far. 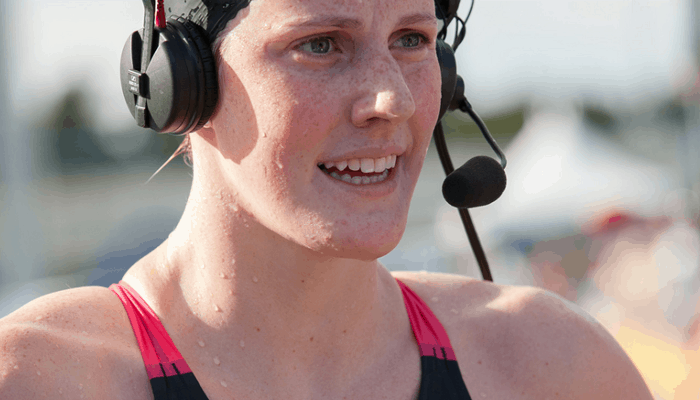 Now given that this is budget limited review and cash is of concern we have sifted through the swathes of cheaper sets to find this set from the pro's at Panasonic which manages to package more than adequate audio quality into a comfortable over-head headband headphones for less than ten bucks. The audio produced from the large dual drivers is powerful and has great depth to it. This set also has a surprisingly detailed mid-range as well. 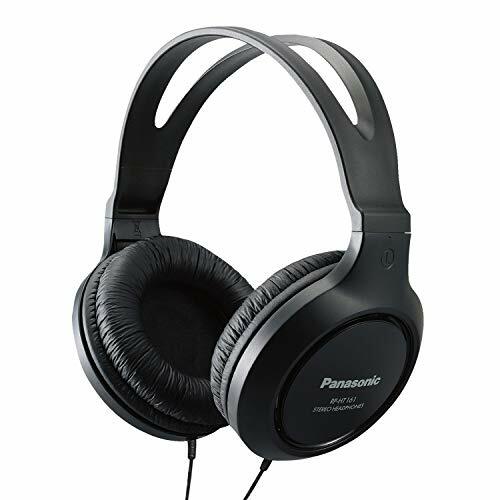 Each driver incorporates neodymium magnets and over-sized coils and the driver has been developed mirroring Panasonic's premium lines to provide enhanced low-frequency response and provide ultimately better bass. The headband is flexible, suitably comfortable, and has a good amount of natural adjustment. The cups are cushioned with plush padding to allow for longer use. They are lightweight and durably built. They feature an extra long, extra-strength cord and are ideal for home leisure use. Why We Liked It - They are a classic traditional pair of wired headphones that provide a decent listening experience out-performing most at their price range. Here we have another good low-price set of headphones which are a fold-away space-saving design ideal for commuting. They are from iJoys premium line and deliver some great audio hand in hand with their convenient features. They are well-made and the folding mechanisms seems pretty durable. Their response is driven by neodymium, an industry goes to a rare-earth magnet and all components used within its build are good quality. They can be used wired directly via their 3.5mm jack cable or wirelessly or without via the onboard Bluetooth. The audio has good dynamics the bass frequency response is a little more extensive giving them a broader range sound with punchier lows than some. They have 2 interesting features worth a mention one being their ability to pick up radio frequencies without a paired device and secondly they harbor a built-in micro SD card reader rendering them more versatile and giving them an edge over their competitors. Why We Liked It - They are affordably priced, well-made, serve up decent sound and offer up a few unique merits to boot. 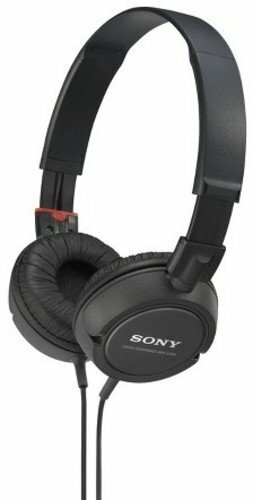 This next selection is a simplistic wired set of headphones from Sony which are very well-built. They are a comfortably padded over head option which have can be adjusted thoroughly. The ear cups are closed-back and on-ear they direct the sound to the user and are naturally more passively noise-canceling. They have a swivel mounted design to increase comfort levels as well as portability. The design allows for the cups to tuck within the semicircular dimensions of the headband itself at its smallest size reducing their footprint considerably for easier storage and transit. The on-board driver units feature 30mm combination diaphragms and are powerfully loud. They have a broad frequency response and produce rich, full-range sound with idyllic balance. They are decked out with durable Y-lead cords that are less prone to entanglement. They sell with an optionally integrated microphone. + Solid sliding flexible headband. Why We Liked It - They are low priced and well made, they have a very flexible headband, and are reasonably comfortable for a low-end pair. The sound is nothing spectacular but will surpass the majority of expectations. We have decided to include this previous edition Mpow model as it really does serve up some impressive sound. It has a slightly lower retail price, and the on-board functions are not yet obsolete. They are a closed back over-head set which uses fully-adjustable reinforced steel sliding mechanisms, they make for a great folding set which won't break the bank. They are durably built and suitably cushioned with their comfort foam. The cups are on-ear which makes them slightly more compact than a circumaural set, they too are cushioned with the same foam composite. They have 40mm neodymium drivers with circuitry optimized for deep bass and well-defined dynamics. The Bluetooth isn't the latest but receives a clean transmission and is versatile and cross-compatible. They come in a range of trendy colors and very capably provide up to 20 hours of battery life between charges. Why We Liked It - They are very well designed and provide a cheaper alternative to the other folding sets on the market, the Bluetooth is a little older but not outdated. 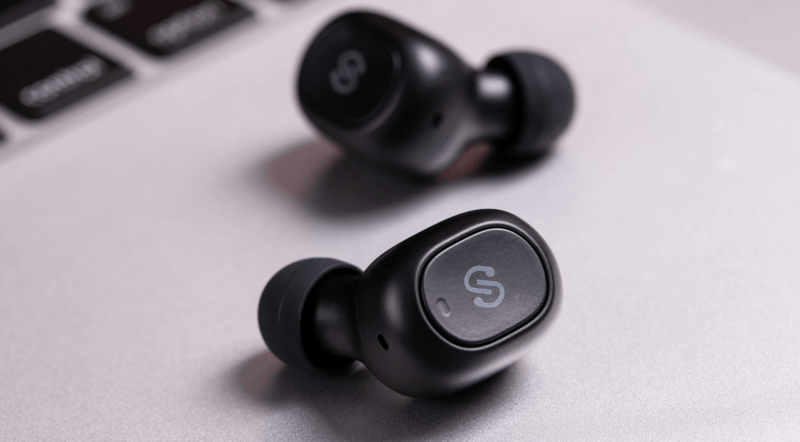 This next pair have featured in our 10 best earbuds in 2019 article and we think they provide some of the best audio in a cheap in-ear earbud option. 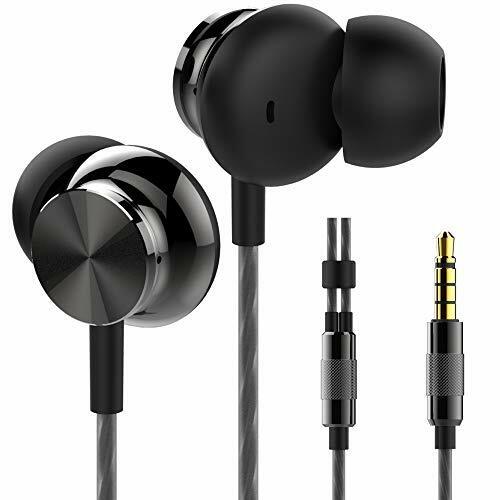 They are a wired set which come with a good choice of slim-fit ergonomic earbud tip options. The selection available includes 3 different sized Silicon tips, as well as one set made from a memory foam composite. They have a solid metal construction and are exceptionally well made. They are concisely designed and modeled on an industrially inspired concept. They are decidedly durable for a low priced pair, they incorporate reinforced connectors to support where the wires enter and exit, which helps prolong their use considerably. The connectors are gold plated for a truer signal as well. They feature a marginally larger bass driver than typical earbud options (9mm) at 9.2mm in diameter. This tiny increase in size makes a surprising amount of difference to the low end in direct comparison to a regular earbud option. The stereo audio has decent balance a broad response and delivers punchier bass. They also harbor a noise isolating integrated microphone and an in-line remote control although this is only compatible with Apple and Samsung devices. Their wires are designed to prevent tangling and they come with with a soft carry case to store them in. Why We Liked It - We love the extensive range of tip choices and the strong metallic design. The audio is powerful and the bass is great. Another great Betron set to consider are these very low priced, wired earbud option which manage to incorporate some of the largest drivers on the market possible in an earbud option. They have awesome performance and provide an impactive broad-range response with their 12mm diaphragms. The components are good quality and work seamlessly to deliver great digital stereo audio, with tight mids and club-like bass. They are noise isolating keeping your music immersive and personal. They are well-designed and constructed, they are ultra-lightweight and have extra-durable cords. They feature ergonomically developed ear tips which funnel the larger drivers hidden away into a tip which sits comfortably in your ears and maintains its position well. They come with a range of interchangeable tips to select the best individual fit from and come with a storage pouch. They have a gold plated 3.5mm connector to transfer signals clearly. Why We Liked It - They provide rather a lot of desirable qualities in a decent earbud option and somehow manage to keep the price pleasantly accessible, the audio is powerfully impressive. We are finishing is weeks review section with a naturally unique option which surprisingly sits in the lower price region, but offers up aesthetics and advanced design techniques that make them an advantageous choice. They exhibit natural dampening capabilities, as their body encasement is carved from wood. Each earbud is hand-crafted with precision and rigorous quality control. The wooden composition helps to reduce the risk of bass distortion due to the minute space available, ultimately allowing for more powerful driver inclusion. 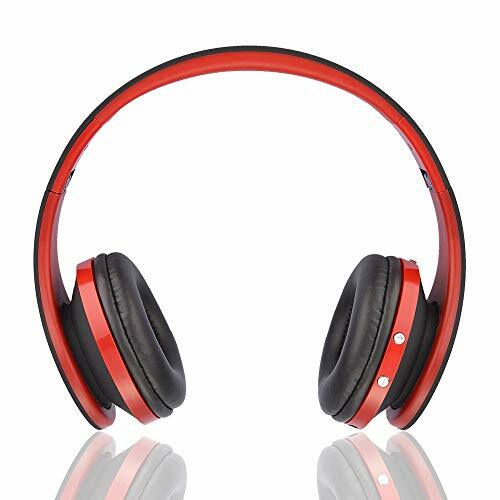 They are open backed, which gives a more natural and less intense feel to the digital stereo audio. It also allows for the better treble in the mix, as the high-frequency performance is assisted by the constant cool-air intake enabling a more extended frequency response. 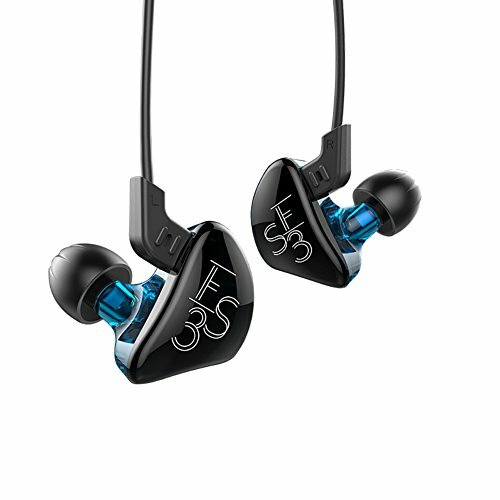 They are a beautifully engineered and deliver clearly defined audio with fantastic dynamics. They come with 3 different size custom-made, ergonomic ear tips, and are available in 6 select wood tone stains. Why We Liked It - They provide great audio combined with a beautifully unique hand-crafted idyllically acoustic design. When you find yourself lurking online with a very limited budget in mind, shopping can be considerably more challenging. The consumer electronics industry is an overly-competitive one with products being developed and added constantly. This can mean you are spoiled for choice, which can actually make if more difficult to separate the sensible affordable solutions from the complete junk. We have said it before and we stand by it; there really are 2 kinds of 'cheap' out there and this is determined by the ways in which the companies producing low-priced electronics manage to reduce the retail prices for the market. Quite often you will find that the materials are where they manage to cut the costs and this is prudent and understandable so you shouldn't set your expectations too high. This can mean that an over-head set of headphones might not be as luxuriously cushioned as a more expensive set and whilst comfort is important, on a lower budget if you want decent audio you really ought to sacrifice the external quality over the internal. How they sound should be above all other concerns, but they still need to be well-designed and durable enough not to break and need replacing or they really aren't a bargain at all. With that in mind, we have a few key things to look out for when purchasing a low-priced set of headphones to ensure you actually get your money's worth. As with any headphone buying venture, you initially have to settle whether you want in-ear or over ear sound. 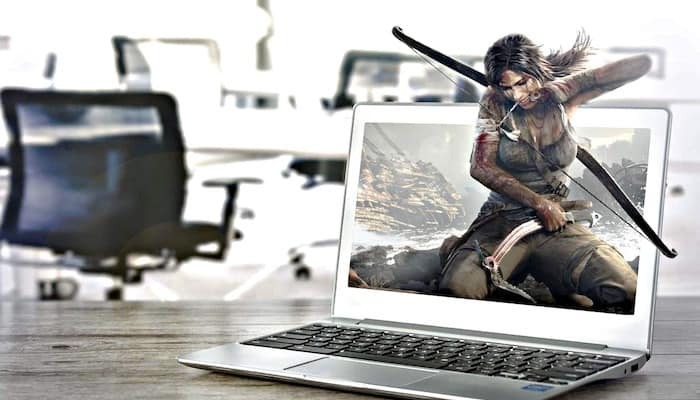 This generally boils down to comfort, portability, and functionality - a set for lounging on your laptop will likely be very different from a pair to pull weights or punch-bag in at the gym. Whatever the headphone style was chosen - the audio should be paramount. Obviously, in the lower price regions, this will not be fairly comparable with a high-end set, but there are many more than adequate choices out there which provide great options. Generally speaking the larger the driver the better your low-end response will be and the more head-room you get before they break up and distort. Over-options can incorporate much larger drivers than in-ear models, let's compare. Logically then, over-ear or circumaural overhead headphones provide better audio. Adhering to this we then suggest you seek those with decent response and the highest performance you can afford. In terms of quality and other desirable assets, you should always have a very flexible headband or an adjustable one, cups should ideally swivel to some degree and they should be cushioned accordingly. 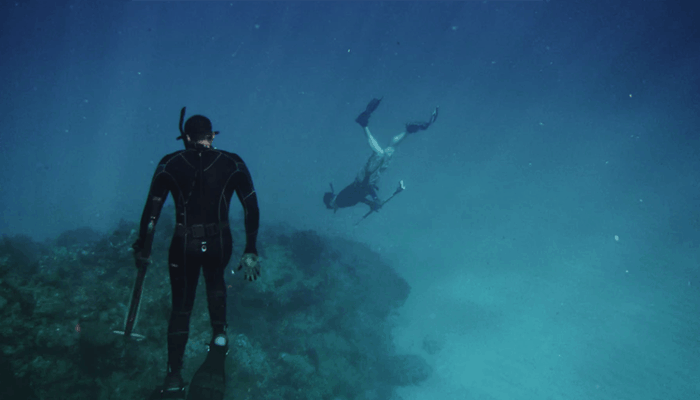 These three characteristics will enable you to wear them comfortably for longer sessions. You then have to settle the wired versus wireless argument, if audio is key to you-you don't necessarily need the wireless conveniences, then we suggest a durable wired set, as the quality of wireless audio, is often lack-luster in low-end products. 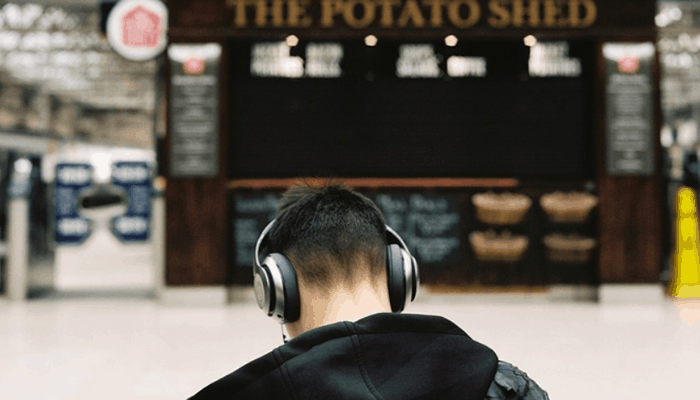 If your lifestyle dictates Bluetooth requirements and hands-free capabilities then opt for a noise canceling or isolating model with up to date reception. One of the drawbacks to an over-head model is their larger size which can affect their portability. If you are likely to travel about, you may want to think about a fold-up or fold-away option. If this is the case then you need to examine how they collapse, as some methods provide more durable mechanics than others. The materials used also become far more important, as moving parts become a weak point in terms of construction if they aren't exceptionally well designed and fabricated. When looking for an in-ear earbud model consider your needs just as carefully in term of wires or Bluetooth and microphone integration. The sound will always be less powerfully driven by smaller component speakers, but there are many products which are pushing the boundaries and incorporating clever design implements, to allow for bigger driver placement and ultimately better audio. 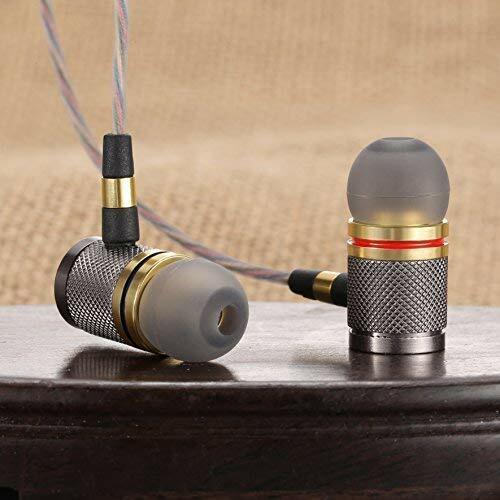 For a rough idea of what to look for in a cheap earbud set you have to consider their use, if you are a sportier sort, you will need a set which has the support of some kind, to help keep them in place. This could be via over ear hooks or inner-auricle fins and locks. You also might want to think about their water resistance if you like to run outside. If you are wearing them for long periods they need to be comfortably fit within your ear canal, so look for ergonomically shaped tips from skin friendly flexible materials such as foam and silicone. 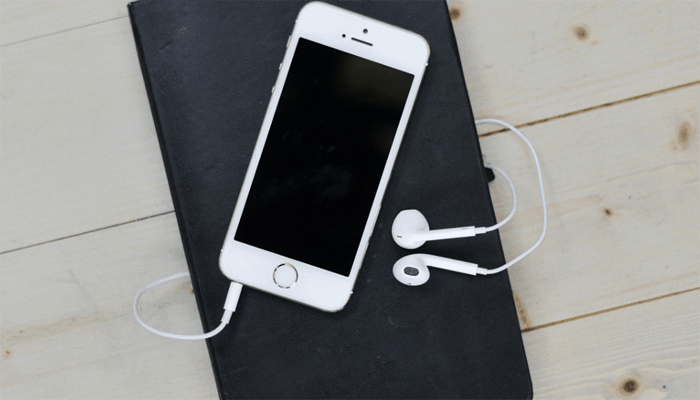 There are a number of earbuds on the market which come with a range of tip sizes provided, to help ensure you get a snug fit that won't harm or damage your ears in use. Sometimes it is wise to stick with a brand you are familiar with when shopping on a shoe-string. They can often reduce costs simply because they have a larger operation and can mass produce. This means they can sometimes incorporate better-engineered electronic components than their similarly priced lesser-known competitors can. Headphones under $30 don't tend to come with any huge surprises, but we think we have managed to muster up a decent range of choices. Luckily you won't find yourself short of options just because you are short of cash a very cheap set of headphones can cost around ten bucks. 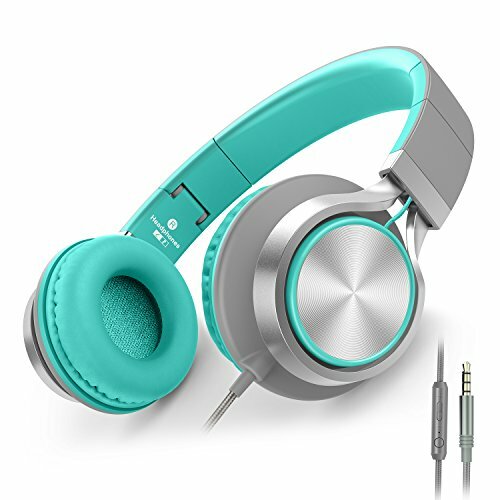 You are bound to find something suitable for you once you have narrowed down your preferred comfort preferences in terms of the headphone style. If you keep the key info from today's buyers guide in mind you should shop a little savvier as well. If you have a little more wiggle room in the cash department, we recently reviewed the 10 Best Headphones For Under $50 which might present a few extra options for some of you.